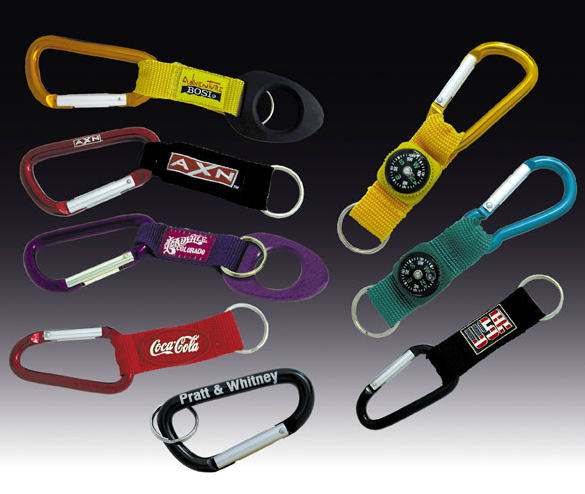 Carabiners: 2-1/2″ and 3-1/4″ w/Split Ring, Nylon Strap, Woven Logo or PVC or Compass. Woven and PVC Patches include up to 4 PMS colors. Please add .20 (P) for Laser Engraving on 1 side of carabiner. Please add .20 (P) for PVC Bottle Holder.